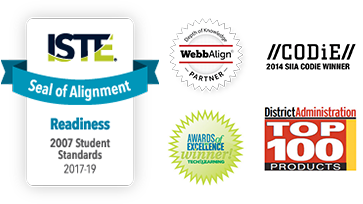 Study Island is a data-driven standards mastery solution designed to help K–12 students master content specified by the West Virginia Next Generation Content Standards and Objectives and the West Virginia College- and Career- Readiness Standards. Its high-impact, high-value learning programs provide proven academic support through practice, immediate feedback, and built-in remediation to improve students’ performance in core skill areas. Paired with an intuitive, real-time data dashboard, educators can easily track student progress and differentiate instruction to continually drive student achievement.